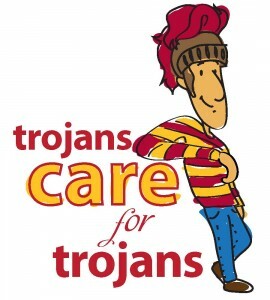 Trojans Care for Trojans (TC4T) is an initiative within the Division of Student Affairs that empowers students to take action when they are concerned about a Trojan. The interactive website serves as a resource for Trojans that seek to help fellow Trojans challenged with personal difficulties. Along with educational videos, this site features a list of campus and community resources and an anonymous request form. The request form provides an opportunity for Trojans to help a member of our Trojan Family. Each request will be researched by a staff member within the Division of Student Affairs.